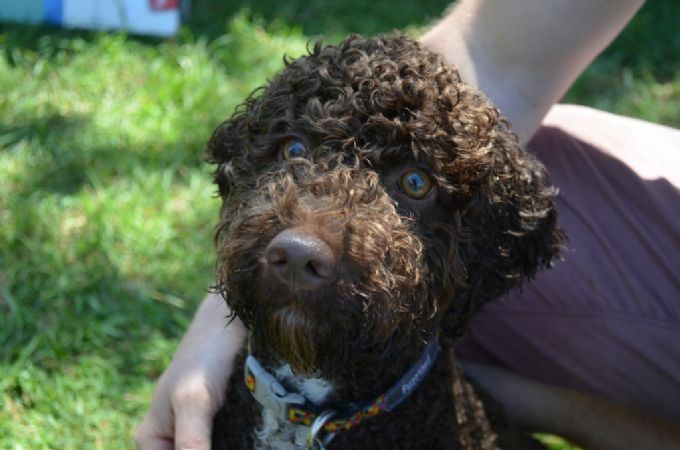 Generally the Lagotto is a robust breed, but like all breeds certain issues have presented. The main health issues identified in the breed are Hip Dysplasia, Juvenile Epilepsy, Lysosomal Storage Disease, and more recently Hyperuricosuria. Parents should be tested before breeding and have suitably low hip scores to try and avoid Hip Dysplasia in their offspring. The parent's low scores are not a guarantee of perfect hips in their puppies as environmental factors can also result in hip problems. Juvenile Epilepsy can be avoided provided only Normal or Carrier dogs are used appropriately in breeding. (Normal to Normal, or, Normal to Carrier combinations - no affected puppies will be produced). Lagotto Storage Disease (a neurodegenerative disorder) can now be tested for and only parents tested as Normal and Carrier can be used safely in breeding.